Abby Fitzgibbon grew up in a homogenous, privileged area of North Shore Massachusetts with an edible garden in her parent’s yard. Her father, passionate about food, raised her to appreciate growing vegetables from seed to table. 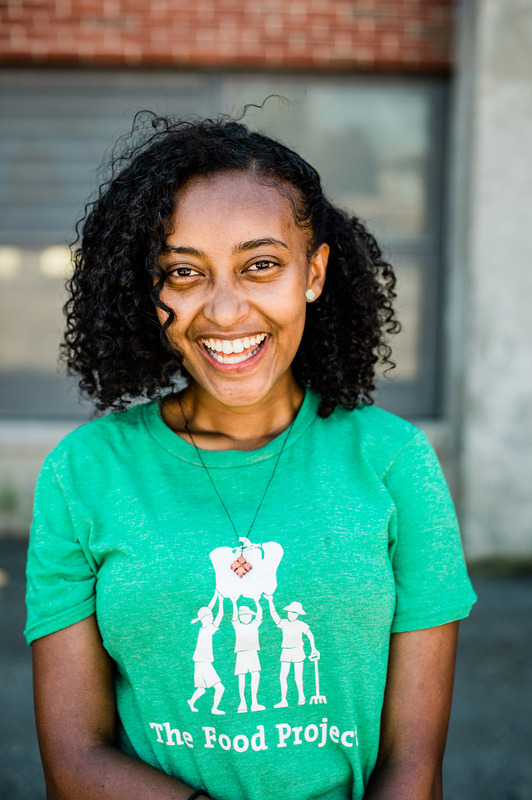 Her family was friends with the executive director of The Food Project — a nonprofit in Massachusetts dedicated to bringing diverse youth and adults together to build a sustainable food system — so when Fitzgibbon reached high school, she applied straightaway for a summer job in Seed Crew, the program’s introductory youth program, and was accepted. While getting into the agricultural work of Seed Crew felt natural to her, she was challenged by the social aspects of the program. An example of these workshops is The Food Project’s infamous “Lunch From Around the World.” For this exercise, program youth are separated at random into groups representing the wealthy, the middle class and the lower class. People in the lower class are given dry beans for lunch. People in the middle class get cooked rice and beans. And people in the upper class are served chicken and vegetables. Staff members ensure that no food trades or theft happen. Anger, frustration and trying to lend a hand often ensue. The lesson: Food access isn’t fair. In Massachusetts, one in eight people experiences food insecurity, and one in six children struggles with hunger. The Food Project employs 120 teenagers to sustainably farm on 70 acres in the towns of Boston, Beverly, Lincoln, Lynn and Wenham — in a mix of urban and suburban agriculture. The organization brings fresh produce from the farms into communities with poor access to healthy food via donations, community-supported agriculture (CSA) programs and affordable farmers markets. Seeing healthy food come full circle from the land to neighbors in need is one of the program highlights for many youth participants. “We work at the Central Square Farmers Market in Lynn on Thursdays,” said Fitzgibbon. “We get to have conversations directly with customers. They often purchase our produce with SNAP benefits or use their HIP match, which gives them access to up to $80 worth of local organic produce every month. Many young people coming into Seed Crew are enticed by a paycheck and the opportunity to work outdoors with their peers. But they quickly discover that the lessons go far beyond the field. Habtegebriel grew up in Ethiopia helping care for the vegetables growing in her grandmother’s garden. Working at The Food Project renewed her gratitude for her roots. Seed Crew youth work together to sustainably grow and distribute thousands of pounds of local produce while cultivating leadership, public speaking and civic participation skills. Following morning work on the farms, Seed Crew members spend their afternoons in workshops about food access, social justice and personal reflection. They leave the experience more self-aware, community-minded and confident in their ability to make the world a better place. Many participants like Habtegebriel end up staying on throughout their high school careers and into their professional work life as well, paying forward what they have learned to new generations of youth. Take Manny Encarnación. He began as a Seed Crew worker in 2005 and continued on in Dirt Crew and Root Crew, and as a Seed Crew leader. Dirt Crew provides the opportunity for Seed Crew youth to develop leadership skills in sustainable agriculture practices, local food systems and civic engagement during the academic year. And Root Crew is a year-long experience where participants partner with staff and community members to take on hands-on projects that advance the organization’s mission. After leaving to work in community health, Encarnación returned to The Food Project full time in 2016 as the North Shore Root Crew Supervisor. He credits The Food Project as a major contributor to his personal and professional success. 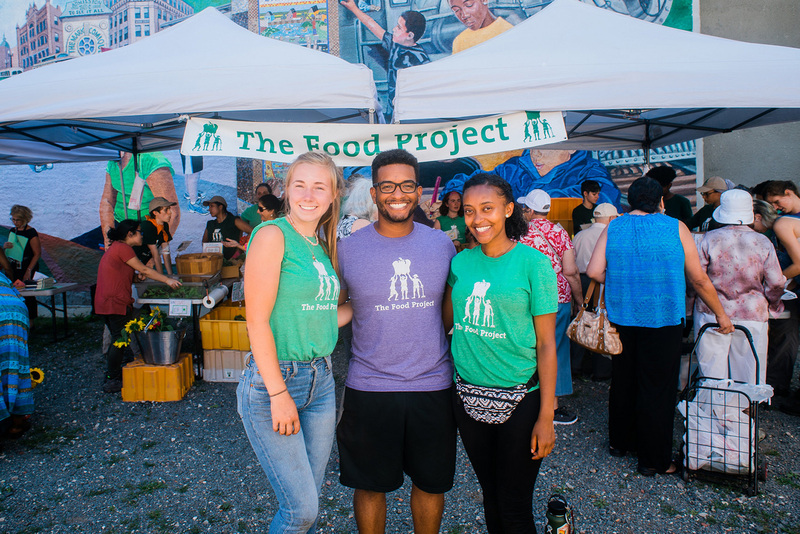 The Food Project is nationally recognized for its youth leadership development and food justice models. Its recruitment process is designed to bring together youth and adults from diverse geographic, socio-economic and racial backgrounds, as well as gender identities. Teams work hard together, are pushed beyond their comfort zones, and earn a paycheck for their efforts — sending an important message of self-worth. 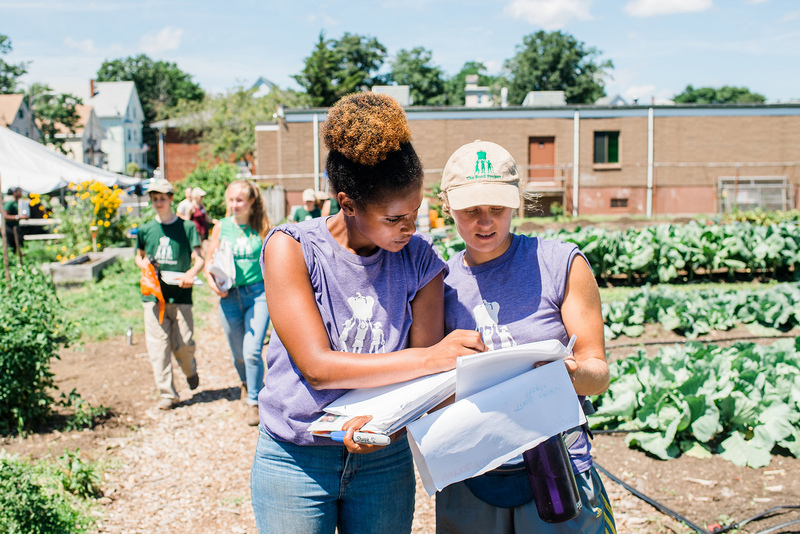 As youth move through Seed Crew, Dirt Crew and Root Crew, they are given increasing responsibilities aimed to position them as the next generation of leaders in both the food system and elsewhere. Emmanuel (Manny) Encarnación returned to The Food Project full time in 2016 as the North Shore Root Crew Supervisor. He credits The Food Project as a major contributor to his personal and professional success. Whitmore is an alumna of The Food Project, working in Seed Crew through Root Crew from 2008 until 2012 before taking a break to attend Spelman College in Atlanta. She was thrilled to come back to the organization in a full-time capacity to help increase healthy food access in her local community. 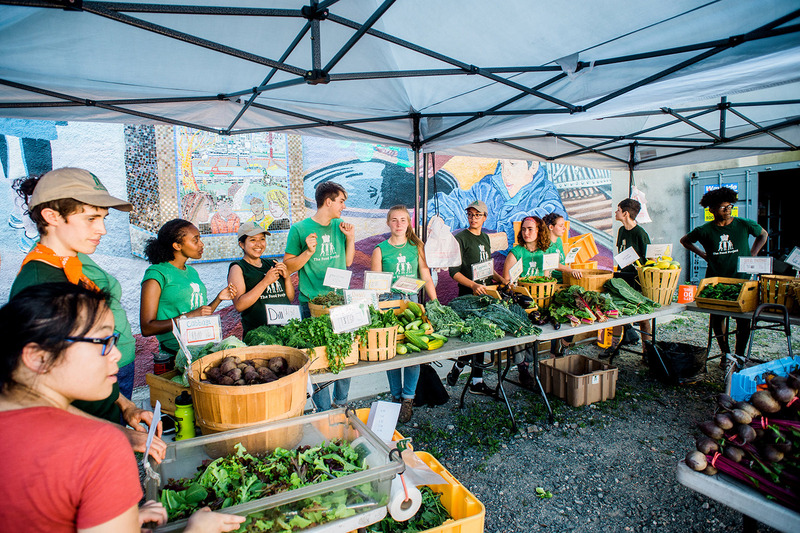 In addition to providing a platform for youth to discover themselves and develop professional and interpersonal skills, The Food Project works closely with the local community to improve the local food system and document impact. The Food Project has had a fourfold impact in local Lynn resident Norris Guscott’s life. First, when Guscott was just getting started with community organizing efforts at the age of 14, The Food Project’s then executive director offered mentorship and encouraged him to keep going. 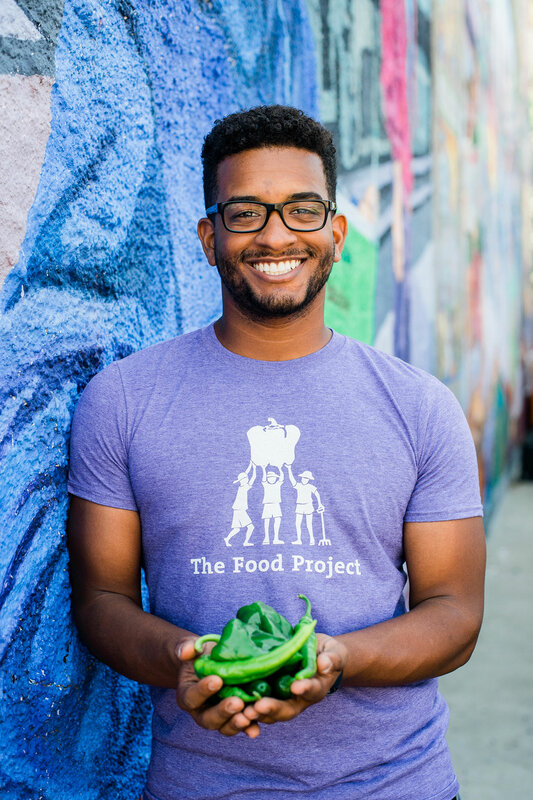 Then, when Guscott went off to college, he studied community psychology and was accepted as a FoodCorps service member working with The Food Project. This gave him a platform to return to his home community and get his hands dirty working to teach healthy recipes to children and their families. In graduate school, The Food Project backed Guscott’s qualitative research on the benefits of community gardens in the Dudley neighborhood of Dorchester. And most recently, Guscott joined The Food Project’s Board of Trustees. Anika Dinna Whitmore (left), operations specialist for the North Shore region, is an alumna of The Food Project and now works full time to help increase healthy food access in her local community. Reflecting on the impact that The Food Project has had in his life and the surrounding community, Guscott smiles as he expresses gratitude and hope. Fitzgibbon agrees that the future looks bright. Even though she knows improvements to food access and equity will take dedication and patience, she is committed to helping lead the charge thanks to her experiences with The Food Project. In these ways, young people are planting seeds of change for healthier, more just futures.